Like most other girls, I have a soft spot for jewelry. My husband has given me unique jewelry over the years, some that I wear more often than others. For me to wear jewelry, however, it must be practical and something I don’t feel uncomfortable wearing. For example, I have bracelets from Tiffany’s, given to me by a relative, that I almost never wear because I know they are expensive. Yes, I know that jewelry is meant to be worn, but there is a part of me that is too terrified to wear it out of fear of it being lost. This is sometimes sad for me because I love gemstone jewelry. Wouldn’t it be great if someone made jewelry that was perfect for everyday use and was inexpensive enough to make it affordable for people like you and me? Luckily, I found just the place – Medu Jewelry! Not only was I excited to find them, but was excited when I found out that I was getting the opportunity to review their Onyx Twist Necklace! To say the least, I couldn’t wait for it to arrive! Love for gemstone jewelry without the horrifying price tag? If so, we think you will love Medu Jewelry. What makes Medu jewelry unique is that they offer beautiful, high quality gemstone jewelry at a price and style that is affordable to just about anyone. So, how are they able to offer real gemstone jewelry at such low prices? By cutting out the middle man! Each of their gemstones come directly from mines and the pieces are manufactured by Medu themselves to make sure they meet their quality standards. In our opinion, nothing shows off the quality of their work like their Onyx Twist Necklace. 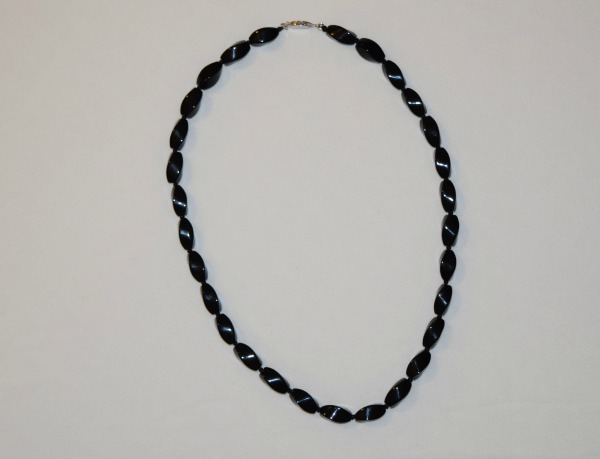 this gorgeous 21 inch necklace is made from real onyx and shaped in a intricate twist design. To keep the necklace itself hypoallergenic, the unique clasp is made from sterling silver and the necklace itself is completely nickel free, making it the perfect necklace for the office or for a night on the town with a special someone. When my necklace first arrived, I was nervous to open it, in all honesty. While I have some beautiful gemstone jewelry, I had never owned anything made from real onyx since this gemstone is rather pricy. Once I opened up the package and looked at the necklace, I have to admit, it took my breath away. I could easily see how the Onyx Twist Necklace could normally retail for over $600. The workmanship on this necklace is truly amazing and has the most amazing shine. What I love the most about the necklace, however, is that it is designed to be worn in anything from a business casual environment to a truly nice social function, giving a girl like me a necklace that won’t just sit in a jewelry box and collect dust. To say the least, I couldn’t be happier with this piece of jewelry, and can’t wait to get other pieces from Medu Jewelry. Based on my own experience, I am happy to give the Onyx Twist Necklace from Medu Jewelry an A+ rating! Want to purchase this beautiful necklace for yourself or a special someone? You can buy the Onyx Twist necklace on the Medu Jewelry website. Don’t forget that you can take advantage of their amazing prices year round and they offer shipping throughout the United States and Canada. That’s cute. I have a couple of outfits that I would wear it with. It’s a bit chunky for everyday wear, for me. I might change my mind after trying it on. This onyx necklace looks so nice on you. I love the longer length too. I really love the look of onyx and I love that it goes with everything. this is a very attractive necklace. I am like you, I love jewelry but hate to wear the expensive stuff for fear of losing it and I can’t pull off statement pieces, This necklace would be perfect for me. A longer length necklace is a must for me (I do not like jewelry too close to my neck). I also admire the shine of the piece. This is just a beautiful necklace and it looks great on you! The length and design is perfect. I would wear it with casual or formal outfits. Thanks for the review, it is good to know that others feel the same as me about wearing expensive jewelry. I loved your review as it is so true about not wearing jewelry for fear of loosing it. The necklace looks even better when it is on someone and looks great on you. I love this necklace. I would love to win this. And I would keep it for myself. This is a really pretty necklace and it looks great on you. Thank you for your review. AWESOME NECKLACE.LOVE TO WIN FOR MY WIFE. The necklace looks very nice on you. I was wondering how long the necklace was. Thanks for the review. I like to bead and make jewelry. It does look great for everyday wear and I love stuff like that. It is nice and thanks for sharing. Looks great on you too!! Love the stones! This necklace is beautiful and I love that it’s black, you could wear it with anything! Very classy! Love this necklace and I like the length and where it sits on you. It could be worn even with a turtleneck in the winter. I have heard of them, but haven’t had the pleasure of a purchase, though they have an amethyst necklace I love. But the “twist” of this one is very unique! This necklace is beautiful. I am hoping to win it for my Mom. It sounds like it is craftily made. What a gorgeous necklace! My favorite kinds of jewelry are natural gemstones or hand made. This necklace looks great on you! I love stone jewelry! This is so pretty and would go with many outfits. That’s a beautiful necklace. I have never heard of Medu Jewelry. Thank you for sharing. What a really nice necklace. I don’t wear necklaces but my daughter does and I know she would love this. It would go with so many of her outfits. 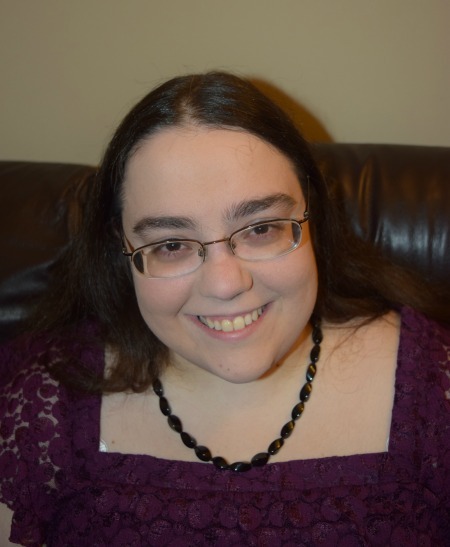 I am so glad that the clasp is made from sterling silver and that the necklace is nickel free as I find many necklaces that don’t have that quality cause me to be allergic and so embarrassing when out. This looks like a very stunning necklace and would love to wear one if I won it for myself or give away ad a gift even! This looks like the perfect size and it would go with so many outfits. A truly versatile but pretty necklace. Thanks for sharing! omg i love this necklace. i am a jewelry freak. i wear marcasite, amethyst and onyx. this is so pretty! i would be honored to wear this necklace!! thank you for opportunity 🙂 great review btw!! I love jewelry like this with special stones. I love to make some myself. This looks great on you too! Thanks for sharing and now I know about a new site. I love this necklace, it’s beautiful, I wish I could see it in person. I also like that it is hypoallergenic–that the clasp is made from sterling silver. This is a lovely necklace. It also can be worn with practically anything too! It is such a beautifully elegant design. I could see it adding a special touch to many different styles of outfits. That’s cute. It’s not really my style though. It would be nice if it were a bit smaller.